La prochaine rencontre du Conseil d’administration du Fonds vert pour le climat (GCF selon son acronyme en anglais), se tiendra à Songdo, en Corée du Sud, du 26 au 28 février. Il s’agira d’une rencontre historique pour la politique forestière internationale : pour la première fois, ce fonds milliardaire considèrera une proposition de projet pour la réduction des gaz à effets de serre de la déforestation et de la dégradation forestière ou l’augmentation de réserves forestières de carbone (connue sous l’appellation REDD+). REDD+ est, essentiellement, un programme mondial visant à dédommager les pays pour leurs efforts déployés en matière de conservation des forêts. C’est pour cela, qu’à première vue, l’obtention d’un soutien financier pour cette initiative de la part du plus grand fonds pour l’environnement semblerait être un progrès. However, many social movements and NGOs disagree. In fact, seldom has an international environmental policy has triggered so much controversy. While governments, the World Bank, UN agencies and many large conservation organisations have lauded REDD+ as a win-win solution for climate change and deforestation, massive gatherings of social movements and NGOs such as the 2010 Peoples’ Conference on Climate Change and the Rights of Mother Earth that took place in Cochabamba or the parallel Peoples’ Summit to the 2012 Rio+20 Summit have firmly rejected it. So why is REDD+ so controversial? And why has it garnered so much support amongst powerful institutions and governments? A book published earlier this month entitled Agents, Assumptions and Motivations behind REDD+ addresses some of these questions. It describes how the original idea to pay for the so-called “environmental service” of carbon sequestration was developed at Columbia Business School in New York. Subsequently, a remarkable coalition of countries was established, known as the Coalition for Rainforest Nations, which was led by former Columbia University student Kevin Conrad. Through personal contacts, Conrad succeeded in obtaining a mandate to formally represent the Government of Papua New Guinea (PNG) (the coalition’s Secretariat was based in New York). For PNG, REDD+ was an appealing way to receive funding for the “effort” of not destroying its forests. Other countries that enthusiastically embraced REDD+ include Costa Rica, which needed funding for its expensive national scheme to pay landowners for the “service” of not destroying their forests, and Norway, which sought to contribute something positive to climate change mitigation without compromising its fossil fuel interests. Norway invested some $3 billion in initial REDD+ support in over 40 forest countries and influential institutions such as the World Bank, FAO, UNDP, UNEP, large conservation groups, and forest research centres, thus buying the support of these actors for REDD+. After eight years of tempestuous negotiations, it was Conrad himself, now representing the Government of Panama, who ensured that REDD+ was included in the text of the 2015 Paris Agreement. Why would this be problematic? The first REDD+ project presented to GCF, by the Government of Brazil, illustrates this vividly. One major concern, for example, has always been the inequity of REDD+: because it is a highly complicated, top-down scheme, the Indigenous Peoples, local communities, and women who do the actual work of conserving and restoring forests on the ground are seldom able to access REDD+ support on their own. Instead, they become dependent on intermediaries that tend to keep the majority of the funds themselves. Worse yet, these groups’ forest governance rights often are not even recognized. The intention of the new government administration in Brazil to dismantle Indigenous reserves and label women and men who try to defend their lands and environmental rights as “terrorists” is cause for concern in this respect. The effectiveness of REDD+ has also been questioned, because there is no way to guarantee that forests will be conserved permanently. This is vividly demonstrated by the Brazilian project, as it requested REDD+ funding for conservation efforts in 2014 and 2015, yet the new government has openly stated its intention to relax legislation and allow more legal deforestation in the Brazilian Amazon. This means that GCF would be paying for forests that were conserved until 2015 but are actually being burnt down as the payments are being made. REDD+ is also compromised by the phenomenon of “leakage.” Leakage is a euphemistic term for the fact that deforestation simply shifts from one place to another if nothing is done to address the underlying drivers of forest loss: overconsumption of beef, soy, wood and palm oil. 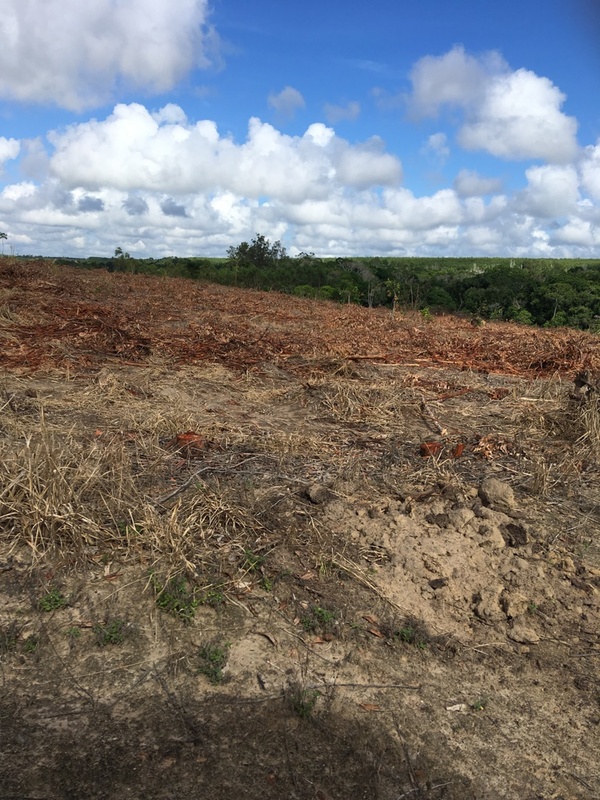 This has also occurred in Brazil, where part of the deforestation that moved out of the Amazon has shifted to other precious biomes such as the Brazilian Cerrado and the Paraguayan Chaco, which now has one of the highest deforestation rates on the planet. It has been suggested such leakage can be addressed by universal participation in the REDD+ scheme. However, compensating landowners throughout the globe for not producing profitable crops such as soy would prove excessively expensive. Perhaps the greatest concern is that the REDD+ regime assumes forests must only be conserved if that conservation is paid for. This is ethically questionable, but it also causes a practical problem, because the REDD+ regime has failed to identify who should in fact pay for forest conservation. GCF might pick up the tab for now, but it should realize that the Brazilian proposal explicitly states that results will be “reversed” without continued payments. This means that GCF should be prepared to make an indefinite bi-annual financial commitment of $96 million to the Brazilian government to keep its forests standing. Meanwhile, every dollar spent compensating Brazil for having conserved in 2014 and 2015 forests that it actually plans to burn down in 2019 and 2020 is a dollar that is not spent on real solutions such as solar energy, or building countries’ resilience to climate change triggered by—among other things—the 164,997 km2 of Amazon forests the Brazilian government allowed to be destroyed between 1994 and 2002, according to its own GCF REDD+ proposal. The fact that it is now claiming REDD+ rewards for slightly reducing rampant forest loss while it is one of few countries still allowing deforestation to continue is a slap in the face to the more than 100 nations that have already succeeded in halting forest conversion in line with Sustainable Development Goal 15.2 by addressing the drivers of forest loss and respecting the forest governance rights of Indigenous Peoples, local communities, and women. As the new book concludes, no statistical relationship exists between forest conservation and forest finance, however, on the contrary, there is clear evidence of the positive relationship that exists between forest conservation and respect for forest governance rights. This is where the focus must be.